We had a fantastic night at The Beer & Cider Marketing Awards 2017 last night and were amazed to be shortlisted in the ‘Best Branding and Design’ category amongst a plethora of globally-reaching brands. We work incredibly hard to ensure our branding reflects the commitment to quality that we have in our brewing. 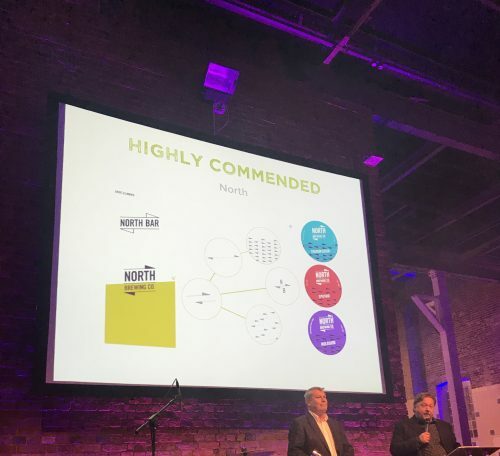 To be ‘highly commended’ in our category was a real honour and we are particularly pleased for our designer James Ockelford (of design agency Refold), who deserves recognition not only for his incredible talent but also for the huge amount of effort and passion he puts into his work. Congratulations to our category winner Camden Town Brewery, whose strong, consistent branding has always set them apart from others in the industry. We were blown away by some of the inspiring and carefully-thought out campaigns that were presented on the night, from advertising to events and charity projects. We are proud of the progressive movements being made in our industry in order to expand the appeal of beer to new audiences, innovate brewing processes and use beer to support fantastic causes. Thanks to Pete Brown, Matthew Clark and the Boutique Beers team for putting on a fantastic evening, and although we didn’t come away with a shiny trophy we had a lot of fun hanging out with some great friends, including Jo Miller (Nurture Drinks), Jess Mason (Drinks Maven), Mitch Adams, Jane Peyton, Pete Brown, Jamie Kenyon (Them That Can), James & Heath (Dark Star), Paul (Prophets Rock wine NZ), the Morning Advertiser team (Nikki, Ed, Georgie et al), George and co (Serious Pig), Justin Wylde and Suzanne Forbes.